Knowing how to stay free of debt stress will not solve your debt problem but it can decrease the risk of serious physical and mental illness. 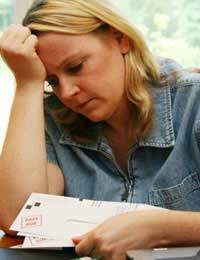 Any type of stress is bad news when it comes to health problems and worrying about debt can lead to a number of serious health issues. A great many people who find themselves in uncontrollable debt have a tendency to simply bury their heads in the sand. This is not the way to avoid the problem; it is simply putting off the inevitable and will lead to greater amounts of stress. Debt problems should be confronted as soon as the problem looks serious and there are a great number of agencies that will be able to offer advice and assistance. If you are having problems coping with debt then talking to the lender should be the first point of call. Lenders should be able to reduce payments or offer longer repayment terms as an alternative. As the saying goes, a problem shared is a problem halved and when it comes to debt you are not alone. A huge number of people have found themselves in uncontrollable debt situations at one time or another throughout their lives. Debt is one of the most common problems and also one of the most stressful for a great many people. Talking to people will help alleviate some of the stress. Simply talking to someone at a local Citizen’s Advice office will reduce stress levels and bring real solutions to the problem. Stress from debt problems can feel like a crushing weight at times but it is important to know that you are not alone. Confronting the problem head on as early as possible is the best way to avoid debt stress. Worrying about debt will not make any difference to the debt problem and will not usually bring anything positive to the situation. Talking to those that can help will be a step in the right direction to alleviating both your debt and stress problems.